Can Your Small Business Get More Sales Using LinkedIn? If you've been wondering about whether LinkedIn could help you grow your small business, it's time to get off the fence and jump online. You should definitely be using LinkedIn to increase sales in your small business. LinkedIn is an important social networking tool that allows you to drill down to target specific groups or individuals. When used correctly, you can open doors to expand your network with people who are likely to buy your product or service. It's a great way to build your social proof too. "Because the client was able to look at my LinkedIn profile, he was able to determine that I was someone who could in fact create value for him. He told me, 'I only accepted your invitation for a meeting because I knew it wouldn't be a waste of time,'" said S. Anthony Iannarino, president of Columbus, Ohio-base Solutions Staffing, Inc., who credits LinkedIn with landing him one of his company's largest customers. A new independent study conducted by sales expert Jill Konrath and Ardath Albee, president of Marketing Interactions, Inc., said LinkedIn could be a secret weapon in closing more contracts for your small business, if you work it right. "Small business owners can leverage the playing field by using their professional presence on LinkedIn to compete against the largest organizations in the world," said Ms. Konrath. The 2013 Sales and LinkedIn Study, which interviewed nearly 3,100 business owners, consultants and career salespeople, said that most use free accounts on LinkedIn as a strategic prospecting tool and that "84 percent of users say they've generated several business opportunities from using LinkedIn." In fact, 79 percent of the study participants were small business owners. The most successful users actively share relevant content, showcase themselves as a trusted resource and spend six or more hours on week on the social media site. And some survey participants say it's their best source for new business leads. "58 percent of our revenue comes directly from LinkedIn initial contacts," said Thomas von Ahn, founder of Denver, Colorado-based Viral Solutions, a sales and marketing consulting firm. "Most people who participate in LinkedIn just have a hit-and-run approach. They put up posts, articles, links, etc. that they ignore, but still hope to get hits from." He claims this approach is push marketing, and is not terribly effective. Mr. von Ahn and his partner have grown their business to nearly $1,000,000 in revenue, by almost exclusively using LinkedIn to engage prospective customers. "We believe in being go-givers, we give first. We participate in numerous group discussions. We also start our own discussions by asking probing questions, and then we participate in the resulting conversation." They also give free advice, free e-books, white papers, and solid referrals when they are not the right fit for a potential customer. Mr. von Ahn said the best way to leverage LinkedIn is to know who your target customer is first. "We have grown our business by being laser focused on LinkedIn. They have developed a process to define their target customer, and then they only connect with people on LinkedIn who fit their exact target. "We turn down two-thirds of the people that reach out to us to connect on LinkedIn," said Mr. von Ahn. And they prune their LinkedIn connections quarterly. He added, "Too many people just collect connections, we don't believe in connecting with anyone we can't help or serve as customers." This is one philosophy. Personally, I think you should connect with anyone who asks because you never know why they want to connect with you, and just because someone is not a customer today doesn't mean they can't become one in the future. Two years ago, S. Anthony Iannarino hired a social media coach teach him how to use LinkedIn. After working with his coach for just one day, he updated his profile by changing his title and making sure his experience spoke specifically to his title. He also updated all of his job history, and added more recommendations from customers who looked like his targets. And in the next 60 days was able to identify and access a new contact within a dream client's organization that he had been chasing for years. He reached out to this prospect through LinkedIn, and secured an appointment. "LinkedIn helped me solve the problem of getting in, but it didn't mean I was entitled to any more than what my sales skills and attributes entitled me to," said Mr. Iannarino. Well, he landed the business. This client presently generates just under $1,000,000 annually for Mr. Iannarino's staffing firm. He says that being successful on LinkedIn or any social media sites comes down to how you position yourself in your profile. "We think that social tools only work in one direction. We think we're using them to research our clients. But really, your LinkedIn profile is part of your digital surrogate salesperson. You're researching your prospects using the social tools, and they're researching you right back." Join Groups. With a free account, you can join up to 50 LinkedIn groups. Sign up for at least 10 groups to get started. Be sure to research the groups to find ones that are active and full of your target customers. Enhance Your LinkedIn Profile. Move away from the resume format. Make your profile customer-centric and results-based. LinkedIn is a two-way street. Just like you are checking out prospects online they will also use LinkedIn to check you out, so make sure your profile represents you well. Connect With Your Colleagues. Use LinkedIn as your personal rolodex. Connect with everyone you do business with and all of your new contacts. Leverage Recommendations. Turn your happy customers into an unpaid sales force. Within five to 10 days after any sale or service, ask your clients for a recommendation on LinkedIn. If you work your recommendations correctly, you'll only talk with customers about availability and budget. Research Your Prospects. Start using LinkedIn to get insight on people you would like to have as customers. It's a great way to find points of connection. More than 2.6 million companies have LinkedIn pages. You should get started today leveraging the power of LinkedIn's more than 200 million member audience. If you invest the time, LinkedIn might be an ideal resource for increasing sales in your small business. 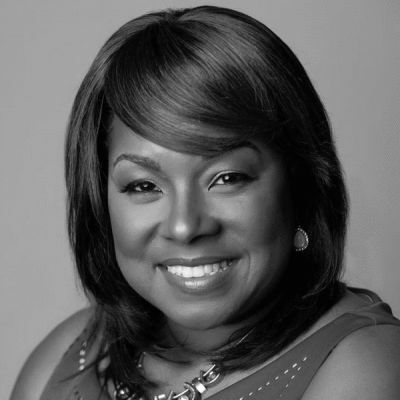 Melinda F. Emerson, SmallBizLady, is America's #1 small business expert. She is an author, speaker and small business coach whose areas of expertise include small business start-up, business development and social media marketing. She writes a weekly column for the New York Times, publishes a resource blog, www.succeedasyourownboss.com which is syndicated through the Huffington Post. She also hosts a weekly talk show on Twitter called #Smallbizchat for small business owners. As a brand, she reaches 1.5 million entrepreneurs a week on the internet. As CEO of Quintessence Multimedia, Melinda develops audio, video and written content to fulfill her mission to end small business failure. Forbes Magazine named Melinda Emerson one of the #1 Woman for Entrepreneurs to follow on Twitter. Melinda has been featured on MSNBC, Fox News, NBC Nightly News, and in Fortune, The Washington Post, USA Today, Wall Street Journal and Black Enterprise. She is the bestselling author of "Become Your Own Boss in 12 months; A Month-by-Month Guide to a Business That Works," and the ebook How to Become a Social Media Ninja; 101 Ways to Dominate Your Competition Online.